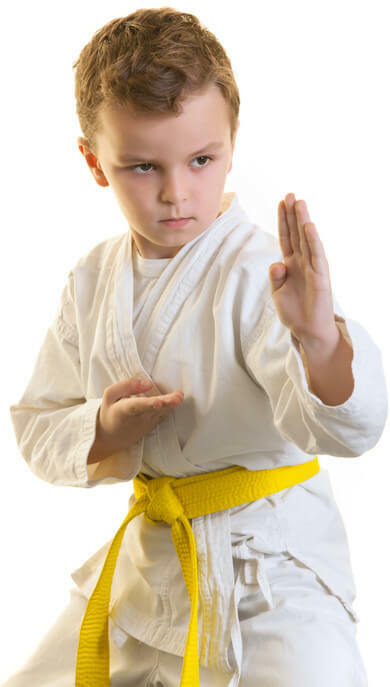 Why Should My Child Attend Lund Martial Arts? Self-confidence/self-esteem: By learning and earning new belt ranks in a positive environment, children truly believe in themselves and become unafraid to put themselves out there and try new things. As a student’s technical skills develop and they become more and more able to defend themselves against a larger opponent, they’ll feel more confident in their day-to-day life and in other challenges they take on. Self-discipline/self-control: Whether it’s through small or large habits they develop in class, kids learn self-discipline and focus. We teach children that small habits make big differences - and that learning to discipline your body and mind creates confidence-building self-control. Focus: When a student learns to focus on something new and exciting, they’ll learn that they can also use that same focus to concentrate on things in life that may not be as fun (like schoolwork!). Additionally, we are experienced in working with children with ADHD and undiagnosed attention and focus needs. Self-defense: Realistically, a child isn’t going to fight an adult attacker. However, even a beginner student will learn skills in the first few weeks that will keep them safer. After 1-3 years of training, a student will be able to confidently defend themselves against a larger bully/classmate, whether they’re standing or have been knocked down. Fitness & athletic ability: Many professional athletes supplement their training with martial arts, from basketball to the NFL. Martial arts is proven to increase your agility, strength, coordination, muscle tone, cardiovascular capacity, to reduce body fat, and more. Community: When you or your child joins Lund Martial Arts Academy, you’re joining more than just a class. We are individuals from all walks of life who care about character development, physical fitness, strong families, and giving back to the community we serve.